Pelage: Short, tawny-colored hair on body, face, and tail. Many males with mane; some without. Black tuft on tail tip. Cub have spots that fade with age. Distribution: Sub-Saharan Africa and southwest India (population in Asia). Populations often small and isolated. Occupy a mere 8% of their historic range. Habitat: Broad habitat tolerance. Africa: woodlands, savanna grasslands, semi-desert, and desert areas. In India, mainly deciduous forest. Africa: Overall, Vulnerable (2014 assessment) (Bauer H. et al. 2016). Africa: Considerable uncertainty in abundance estimates. 20,000-30,000; likely closer to 20,000 lions remaining. Locomotion: Walking speed of 3-4 km/hr (1.86-2.49 mph). Bursts of speed up to 45-60 km/hr (24-37 mph) for short distances (100-200 m). Activity Cycle: Inactive for much of the day. Rest 20-21 hours a day. Most active at night, dawn, and dusk. Hunt, feed, and mate at all times of day/night. Social Groups: Form matriarchal prides. No dominance hierarchy among females. Explore territory and hunt, either by forming subgroups or spending time singly (fission-fusion social dynamics). Male coalitions challenge each other to hold residency with prides of females. Communication: Many forms. Reinforce social bonds with social licking and head/body rubs. Use facial expressions, body postures, and behavioral displays to convey mood and intent. Variety of vocalizations: roar, grunt, growl, miaow, purr, puff, to name a few. 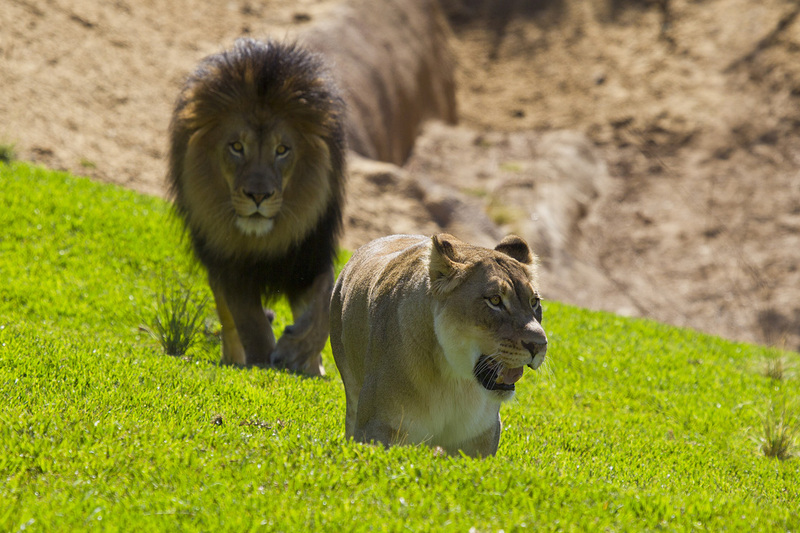 Scent marking and smell an important channel of communication with other lions. Prey: Large variety of prey. Medium to large-sized ungulates make up bulk of diet. Hunt and scavenge. Wildebeest, zebra, water buffalo, impala, warthog, and waterbuck frequently taken. Will also feed on smaller or unsual prey. Sexual Maturity: Males: about 24 months. Females: first conception at about 43 months, but varies substantially with habitat. Longevity: In the wild, males live 11-13 years; females up to 17-18 years. Commonly live longer in managed care; not well understood; at least early to mid 20s. Found in many habitats, including deserts. Do not need to drink water. Can survive on moisture from prey and plants. Cubs communally raised in crèches. Females nurse one another's cubs. Male cubs from the same crèche may form lifelong alliances. © San Diego Zoo Global 2016-2019. Taxonomy updated Oct. 2018. CITES status updated Apr. 2019. Thank you to these lion experts for generously providing content review of this fact sheet. Through his expertise in behavioral ecology and conservation, Dr. Davidson lends scientific support and leadership to projects in Kenya related to large carnivore resource use, human-wildlife conflict, and habitat conservation. He helps to develop research initiatives and teaches for Marwell Wildlife in Kenya, Smithsonian Institution, and York University. Mr. Franceschiello, a Senior Mammal Keeper with the San Diego Zoo Safari Park, has a wealth of experience in caring for big cats, including lions, cheetahs, mountain lions, and tigers (plus many other mammals). He has been working with the Safari Park’s lions since 2005. Mr. Franceschiello says the most rewarding aspects of his work are having been involved with all lion litters born at the Safari Park, from conception through adulthood, and being viewed as a pride member by the lions he cares for. 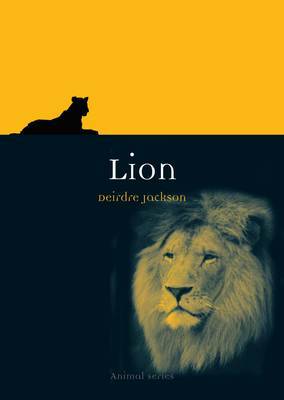 A bold, fascinating read that brings together historical, biographical, cultural, and conservation perspectives on lions. Eloquently written and researched. Incredible collection of art history photographs and literary references. 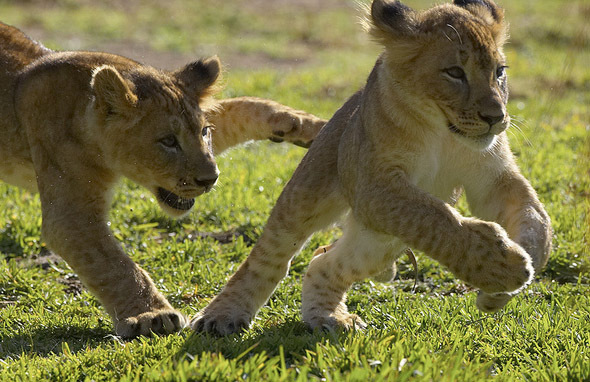 Two young cubs play a game of chase.